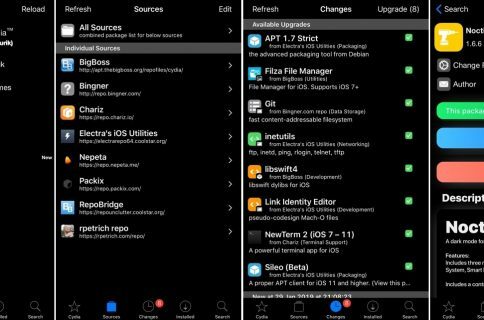 It seems as thought night/dark mode jailbreak tweaks are really hot these days, and the popular Eclipse night mode jailbreak tweak by developer Guillermo Moran has officially been re-released this week with full support for iOS 10, officially raising the bar for all the hype. The new version of Eclipse, named Eclipse 4 because it’s the fourth iteration of the tweak since its initial inception back in 2014, is a free download for anyone who owns any of the previous versions from any other jailbreak they may have had in the past. 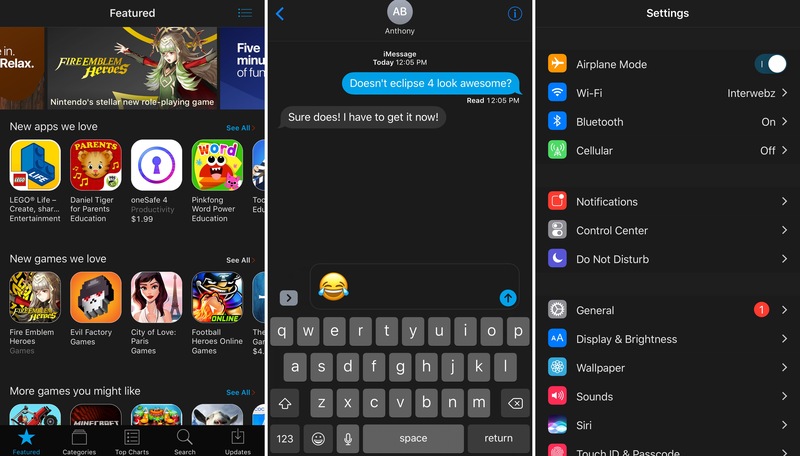 A freebie tweak was released just last week called DarkMessages brought night mode-like functionality specifically to the Messages app, and while it was neat to try, it really made your mouth water for the night mode-like look and feel in every app. What’s nice about Eclipse 4 is how it’s a system-wide solution for your iPhone or iPad, which is optimal for any jailbreaker who doesn’t want to install a different tweak for every app on their device. 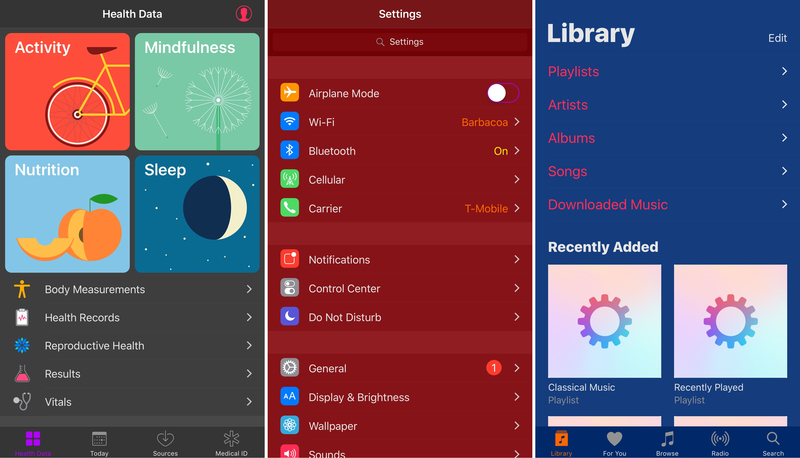 Additionally, Eclipse can be used for theming, as you can use it to color your iOS interface in any way that you want to, whether you want iOS to look as dark as possible for night use, or you want to deck it out with your favorite color schemes for the heck of it. But since those aren’t available yet… more on that later. Eclipse 4 is probably one of my top favorite jailbreak tweaks of all time. It has withstood the test of time and comes with incredible support and rapid updates with every iteration of iOS and each new jailbreak. It’s also one of my favorite reasons to have a jailbreak today, despite Apple’s addition of the f.lux-like Night Shift mode. The tweak is incredibly lightweight, so it doesn’t bog your device down with unnecessary processes. In fact, the developer says it’s so lightweight that you won’t even notice an impact on battery life from it. As many themers will tell you, being lightweight on resources is a huge advantage. 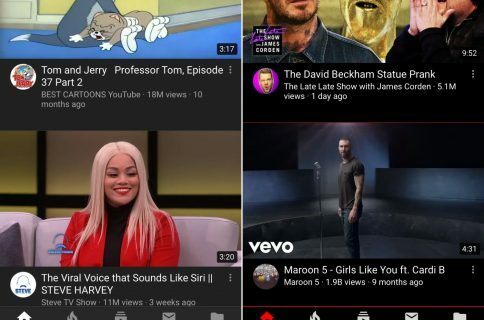 While the tweak won’t play nicely with all third-party apps, simply because some app developers don’t follow strict app design guidelines, it does work with most of them. For apps where Eclipse does not work well, you can easily blacklist them from the tweak’s integrated application list and they will remain unaffected by Eclipse. 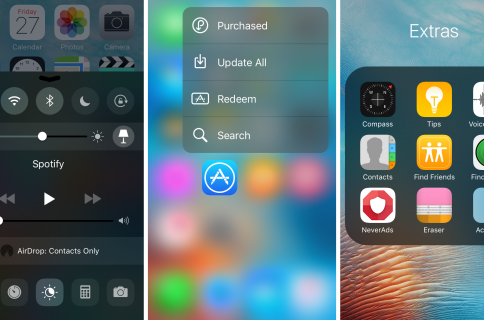 The rest of your apps, however, will continue to be affected by the tweak. 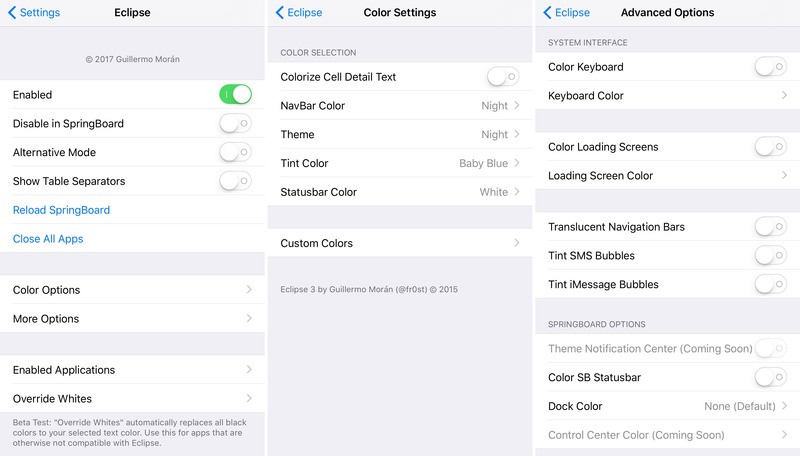 You should also know that Eclipse doesn’t include scheduling options, but it does include an Activator and Flipswitch toggle, which means you can easily toggle it on or off system-wide with a single gesture whenever you’re ready to start using it, such as around 6 PM and later when the Sun begins to set. If you are interested in grabbing Eclipse 4, you can do so from Cydia’s BigBoss repository right now for $0.99. Don’t forget that if you already own any previous version of Eclipse, then this version is a free upgrade, compliments of the gracious developer. Note: Eclipse 4 is designed especially for iOS 10. If you want Eclipse for iOS 9, then you should install Eclipse 3 instead. Are you excited to see the release of Eclipse 4 for iOS 10? Share in the comments below!